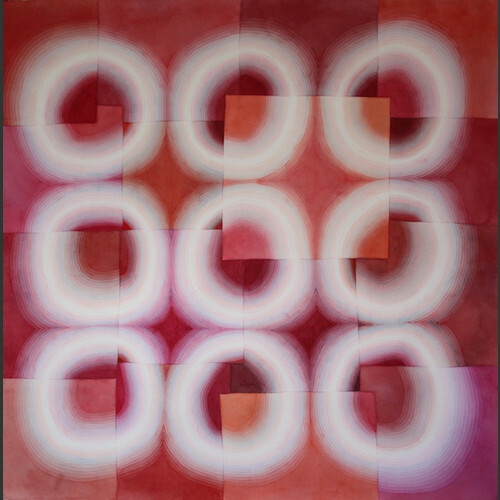 Susan Pasquarelli has shown at the Rosenfeld Gallery in Philadelphia for fifteen years. She has had solo exhibitions in recent years at the National Academy of Sciences in Washington DC and the Zane Bennett Contemporary Art Gallery in Santa Fe. Group shows include the Barnstone Gallery, West Chester University, and the Wallingford Community Art Center in Pennsylvania. After moving to Taos, New Mexico, she was awarded a residency at the Harwood Museum of Art. Her preferred media are gouache and watercolor. Her work is abstract, although inspiration comes from traveling the Southwest and the Rocky Mountains and working from nature.